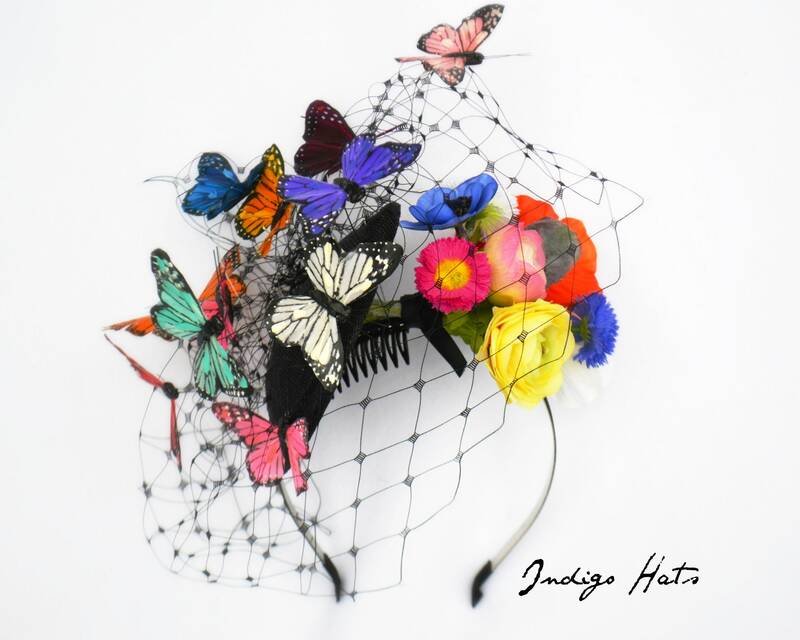 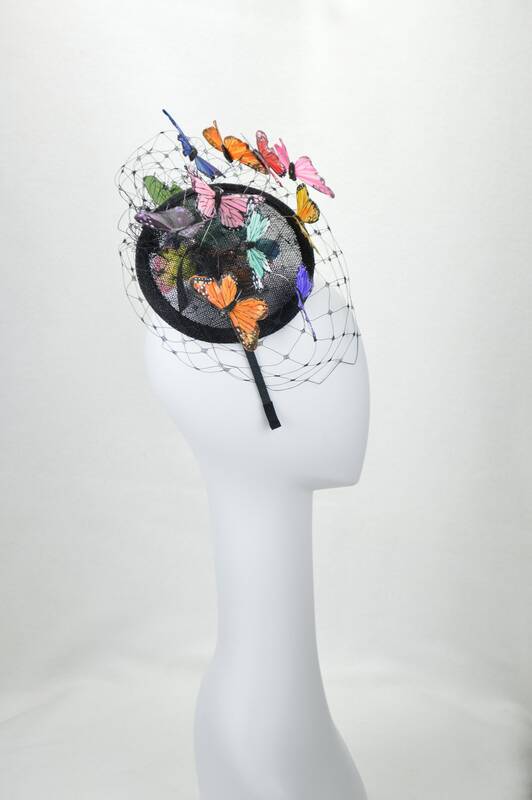 MAGICAL BUTTERFLY FASCINATOR womens Hatinator Hat - Kentucky Derby Melbourne cup Belmont and British Royal Ascot, Festival Wear or a parade! 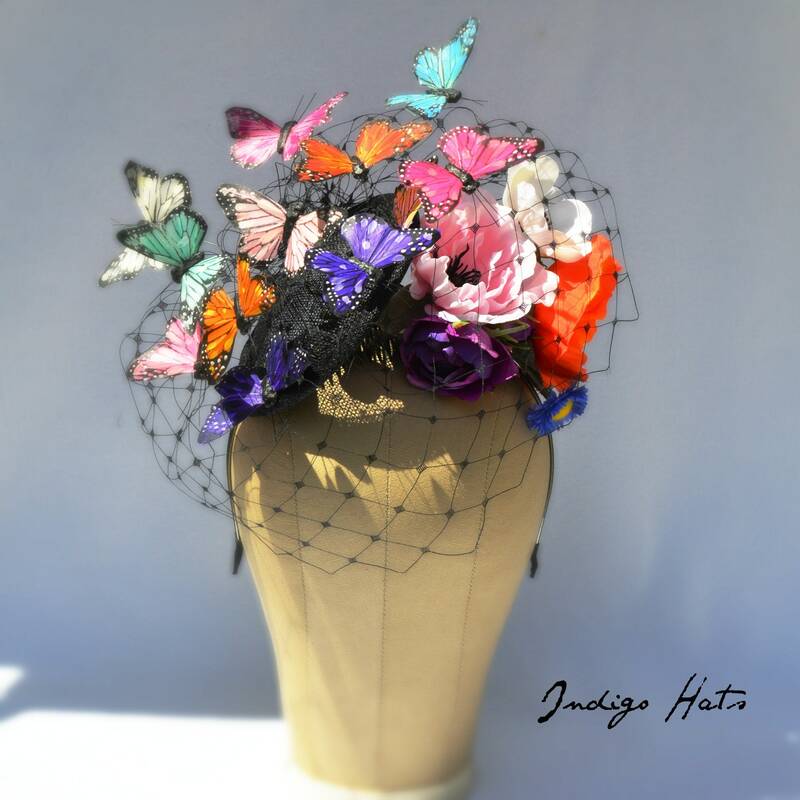 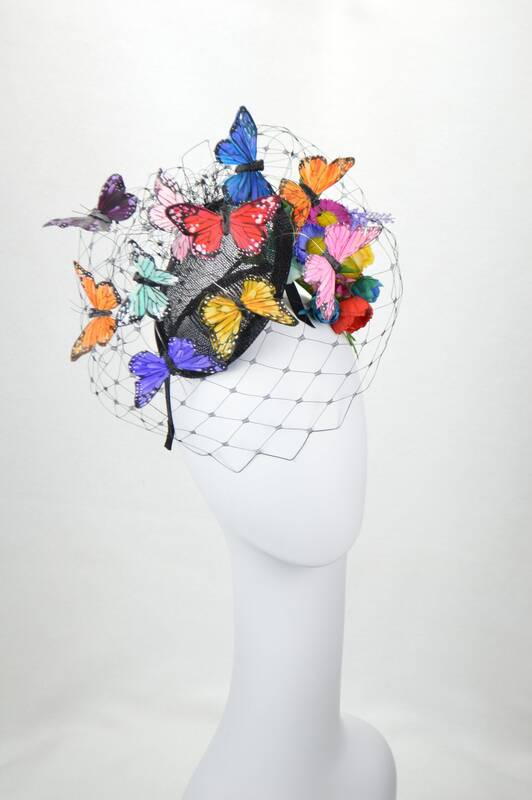 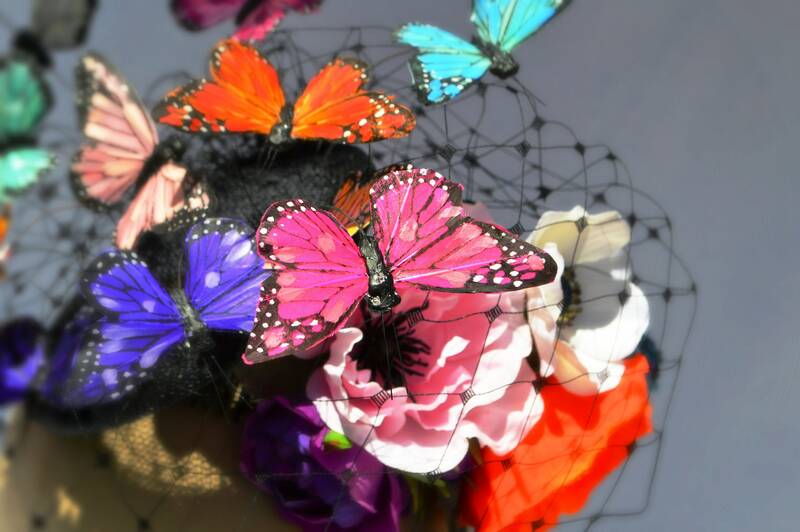 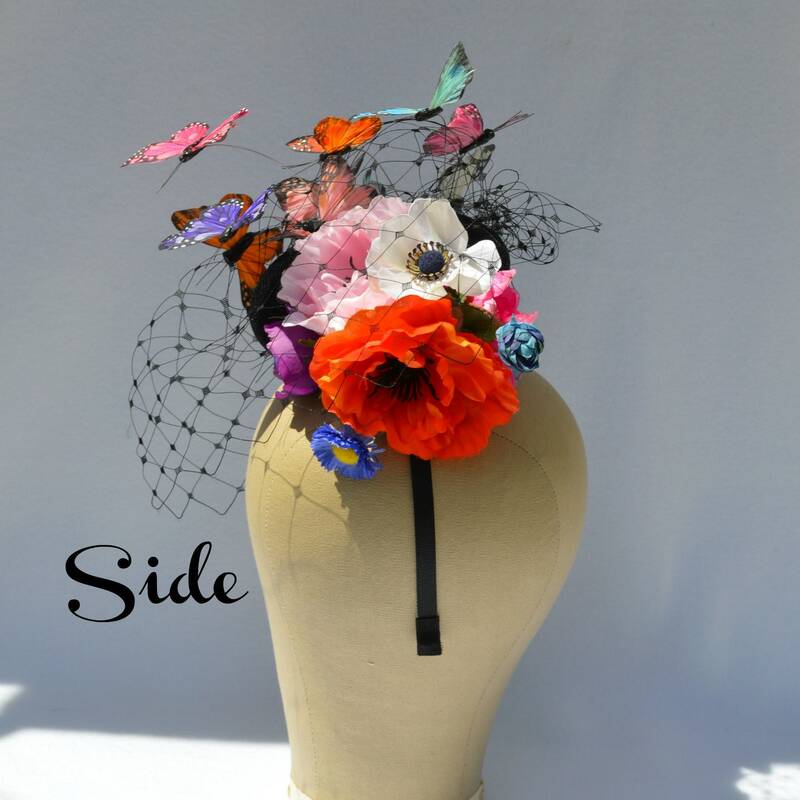 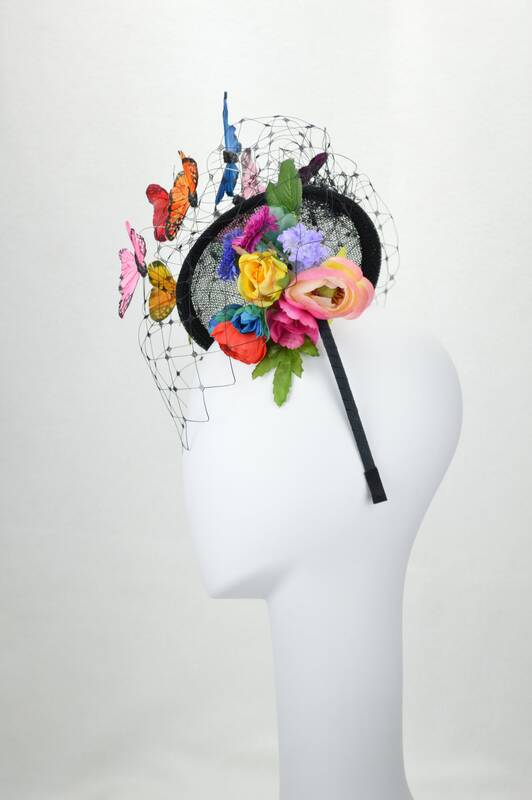 This is such a stunning headpiece, assorted color butterflies dance around your head along with a bouquet of pretty coordinating flowers. 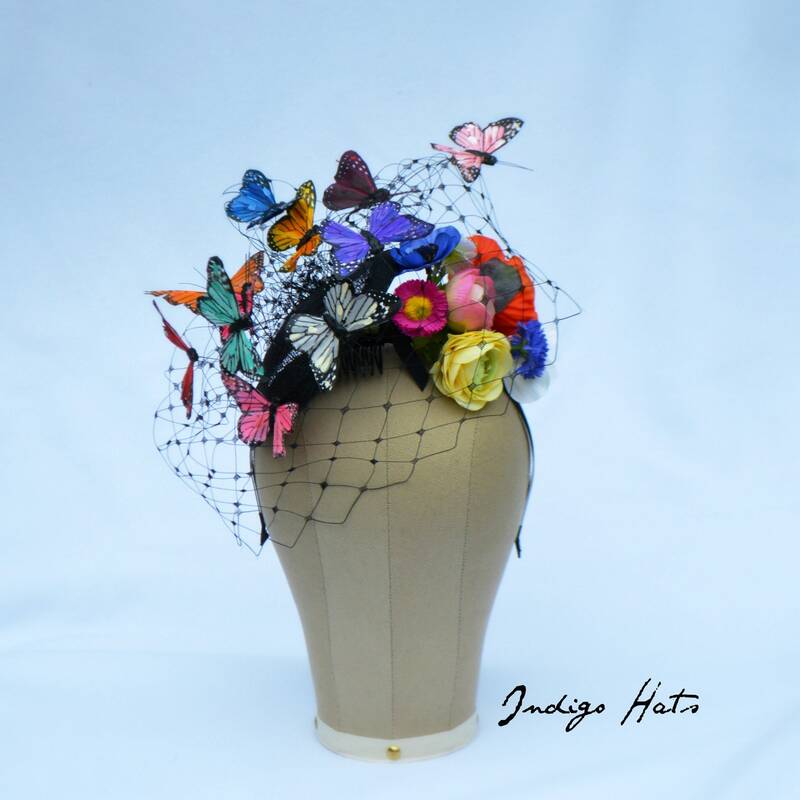 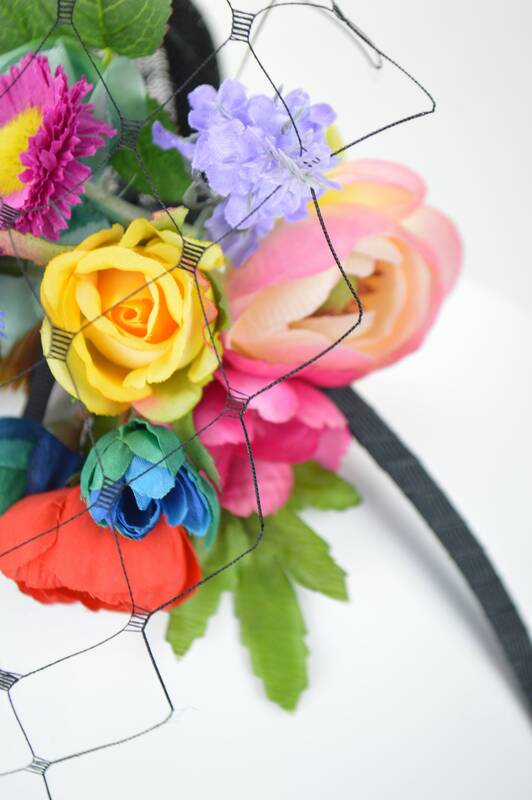 Its all set around a handmade 6" black sinamay fascinator adorned with vintage look black veiling. 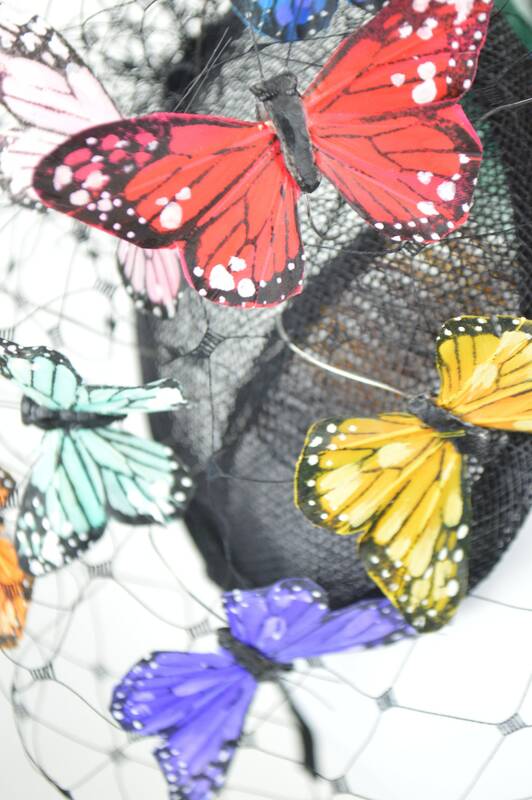 I have this butterfly headdress in lots of other colors too.